Studio field trip: John Jarrold Printing Museum. The John Jarrold Printing Museum neighbours The Click’s studio on the River Wensum in Norwich, however, it wasn’t until this week did we finally pay it a visit. We made the most of the extended opening hours – part of the 2014 Norwich Heritage Open Days – discovering a treasure trove and insight to the world of traditional printing. There is a host of machines, presses, various equipment and ephemera but, most importantly of all, we met a group of wonderful and passionate individuals who give up their time to pass on their knowledge, skill, craft and enthusiasm of traditional print forms. John Rumball retired a few years ago from a long career in bookbinding. Now he chooses to give up his time to teach others the skills required to bind books by hand. We were lucky enough to enjoy hearing about several of John’s experiences through his career and benefit from a step-by-step tutorial on how to fold, stitch, glue, trim and bind a hardback book – by hand. John introduced us to graphic designer Vanessa Vargo, who was mid-flow in making a series of prints using wood block type. 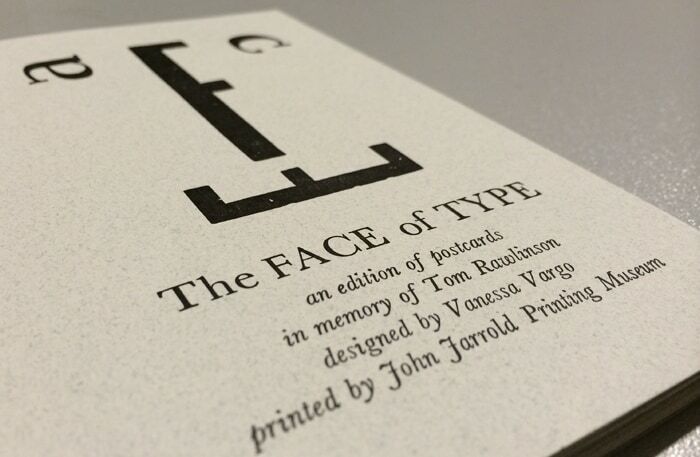 Vanessa generously gifted us with a beautiful edition of hand-printed postcards which serve as an educative, amusing and skilfully observed series, titled The Face of Type. Each postcard offers a definition of type terminology. For example, (above): ‘The FOOT is the base of the type’ and (below): ‘A SMALL CAP is like a capital in shape but its size is the same as the lowercase’. 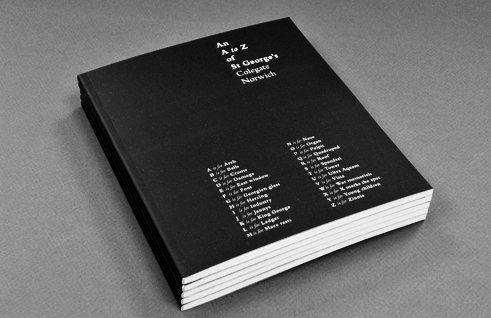 The full series are lovingly printed to both sides of a recycled stock, perforated and folded – all by hand. The John Jarrold Printing Museum was founded in 1982 and exists primarily to preserve historic printing machines and equipment, to practise the ancient crafts of printing and bookbinding and to pass on the skills of the craftsmen to others. The Museum is open from 9.30am to 12.30pm every Wednesday and by special arrangement. We thoroughly enjoyed ourselves and are confident any fellow graphic designers or creatives would find it equally as inspiring as we did. 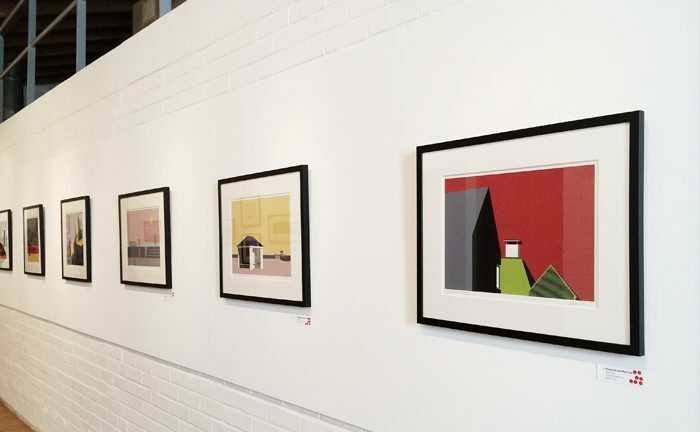 Address: John Jarrold Printing Museum, Whitefriars Norwich Norfolk NR3 1SH.